The purpose of the directory for water resources is to provide relevant information on the various topics related to clean water preservation. Here are NGO, governmental, corporate, and informational resources from around the web. If you'd like your organization listed please let us know in the contact form below! "Access to a secure, safe and sufficient source of fresh water is a fundamental requirement for the survival, well-being and socio-economic development of all humanity. Yet, we continue to act as if fresh water were a perpetually abundant resource. It is not." Non-profit project founded by Matt Damon and Gary White which pioneers market-driven financial solutions to the global water crisis. WRI's water branch which works with businesses, governments, and civil society to ensure a water-secure future. Open-book non-profit organization bringing clean and safe drinking water to people in developing countries. International non-governmental organization which aims to secure the human rights to water and sanitation through law and policy reform. The CEO Water Mandate mobilizes business leaders to advance water stewardship, sanitation, and the Sustainable Development Goals – in partnership with the United Nations, governments, peers, civil society, and others. A global water think tank that combines science-based thought leadership with active outreach to influence local, national, and international efforts in developing sustainable water policies. Serves as the premier resource on the Internet for international water law and policy issues, whose purpose is to educate and provide relevant resources to the public and to facilitate cooperation over the world’s fresh water resources. A non-profit organization unlocking human potential by providing reliable water projects to communities in sub-Saharan Africa who suffer needlessly from a lack of access to clean water and proper sanitation. Non-profit organization based in Australia which aims to reduce the ill health and disease of children through improved water and sanitation. U.S.-based nonprofit organization dedicated to solving the world water crisis through water science research and by forming alliances with organizations, scientists, universities, media, businesses, and governments around the world. Based in Washington, DC, Clean Water Fund operates locally staffed environmental and health protection programs serving communities in more than 15 states. UK-based non-profit organization working in 28 countries to provide clean water, decent toilets and good hygiene. Christian non-profit organization with nearly 40 years of experience across 40 countries. NGO providing clean drinking water, sanitation, and hygiene education programs to schools and villages in desperate need. NGO whose mission is to provide access to clean water for the entire nation of Liberia by 2020. Christian missions organization providing food and water to the impoverished people of Guatemala. USGS Water branch whose mission is to collect and disseminate reliable, impartial, and timely information that is needed to understand the Nation's water resources. Web interface by US Geological Survey which provides data on water sources collected throughout all 50 US states and territories. 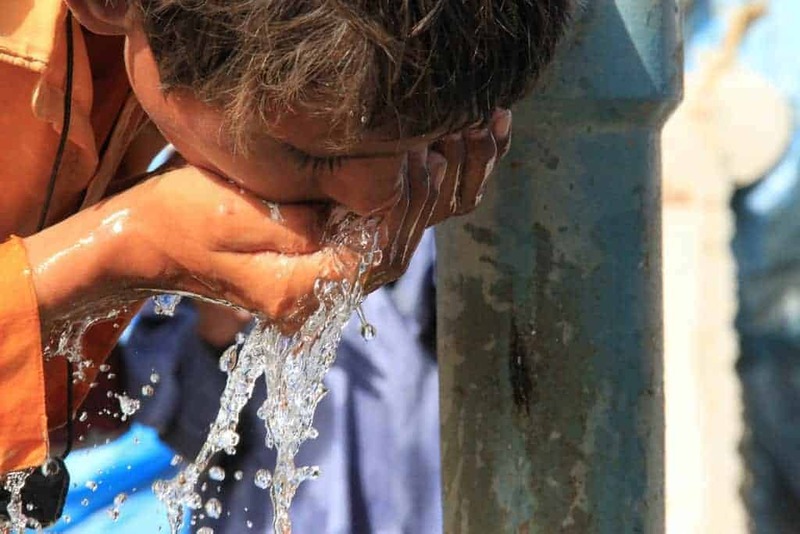 Information on the World Bank's plan for "A Water-Secure World for All." For-profit company which provides products, technology, systems, and services in all areas of water treatment. Annual journal by Pacific Institute President Peter Gleick which provides resources for community leaders, health officials, academics, students, and others whose work touches on freshwater. A joint project by Borealis and Borouge which aims to provide products and solutions that improve access to water in much needed areas of the world. Online resource for information on practical ways to finding, developing, and delivering clean water to those in need. Part of the Freshwater Information Platform, the Global Freshwater Biodiversity Atlas is an online information resource featuring maps of global freshwater sources. The Freshwater Information Platform is an online resource of data and tools for science and policy for freshwater research. Website responsible for gathering trusted news and information regarding freshwater policy and data from around the world. Largest network of water professionals with members and staff from 130 countries, with the goal of progressing water management worldwide. A joint effort by PepsiCo and The Nature Conservancy to increase recycling and protect water at its source.